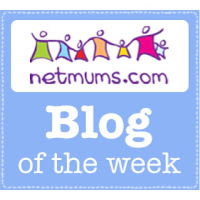 The very sweet Sarah at Mum of Three World has given me a lovely Super Sweet Blogging award. Unfortunately I cannot accept it as no sugar ever passes my lips. My body is a temple. Haha, who am I kidding, if my body is a temple, then it is a place to worship the joys of the sweet treat. Biscuits, cakes, chocolate, I love it all. Especially biscuits- I even wrote a jingle about them for my biscuit of the week posts. I haven’t done one of those for ages, because of the stupid dieting. But then again I haven’t done any of the stupid dieting for ages neither- so here is the jingle- and in case you want to know- this week I am mostly eating Malted Milks. But back to the matter in hand. I have to answer these treat related questions, which is going to make me hungry. So I will do it quick, so I can get on with the important business of cramming my cakehole with crap*. * Not actual crap of course. I am not a scatological person. Just sugar laden crap. Obviously. Stupid question. Both. At the same time. I can make a mean Oreo cake, best of both worlds there. 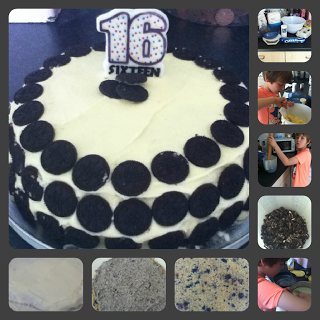 The Oreo Cake I made for Betsys 16th! I do like Vanilla, but in the spirit of either/or I will have to plump for chocolate. When I am awake. Or asleep. When I am alive. As mentioned previously I actually went by the stage name Parma Violet for a bit. An old lady sweet, whose colour I intend to have my hair in my latter years. I shall pass the joys of the pud onto the appropriately named A Slice of Lemons Cake and to Lynn at Babysteps, because their blogs are sweet like chocolate! Next Post 6 Things Update. Brilliant! I knew this one was made for you. It’s now 34 minutes until Green & Blacks time. Bring it on.